Arctic Report: What Are the Northern Lights, Really? People through history have come with all kinds of creative explanations for the northern lights. Per Helge Nylund, who curates the Tromsø Museum, says the myths vary throughout the Arctic. In Finland, the lights were called fox flames, and were considered magic. 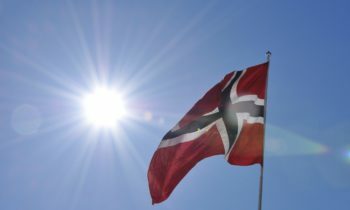 In western Norway, they were thought to be maidens waving mittens. In Ottawa, a beacon from a mighty spirit. Vikings believed the northern lights were a bridge between gods and humans. And Siberians believed the lights were an actual goddess. Even today, myths remain. Japanese culture maintains that conceiving a child under the northern lights will lead to a life blessed with good fortune. This is great for the tourism industry here. 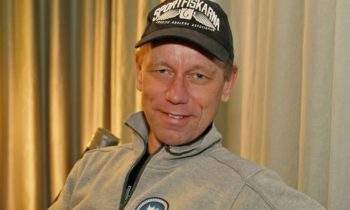 In fact, Trond Øverås, the director of the Visit Tromsø tourism organization, says that winter tourism around the city has increased 271 percent in just four years. It’s now a $39 million industry. 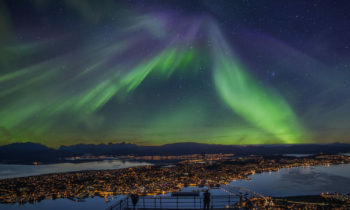 That’s thanks in large part to the fact that the organization recently started marketing Tromsø as an ideal winter-vacation destination to see the Northern Lights. The city lies right in the middle of the Northern Lights zone, a latitudinal band that wraps around the Earth just below the magnetic poles. Within this zone, the lights are visible on dark, cloudless nights from October to March. 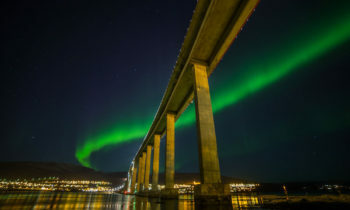 But unlike most other places within this band, Tromsø is a well-developed city with plenty of hotels, restaurants, and cultural activities. Plus it has an airport, now with direct flights to and from London. That may seem strange considering how far Italy is, but the lights appear green in color close to the Earth, and red higher up in the atmosphere. The green portion can only be seen in the northern regions. Galileo was seeing the lights from a latitude much further south, so he was seeing the upper portions. The Northern Lights are caused by a combination of solar activity and the Earth’s magnetic field. When a coronal mass ejection occurs on the surface of the sun, it releases gush of electrons, which are carried toward us by solar wind. If and when those electrons reach Earth, about 17 hours later, they encounter our invisible but protective magnetic field. 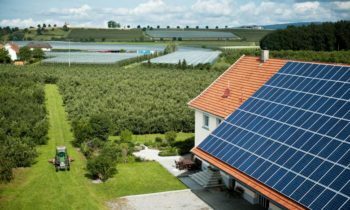 (Nylund describes the shape of the field as an elongated apple; the indent that houses the stem on an apple resembles the indent above the North Pole). This collision creates charged particles flow along the field’s magnetic lines until they reach the upper atmosphere. Here they excite atoms and molecules to trigger the colorful lights of the aurora. It’s the same mechanism as fluorescent lights, Brekke says, and can occur in both hemispheres. Nylund says the colors have to do with the different chemicals they could encounter: Green is oxygen atoms, pink is iron, blue is hydrogen, and orange is protons. And how about all the dancing the lights apparently do? 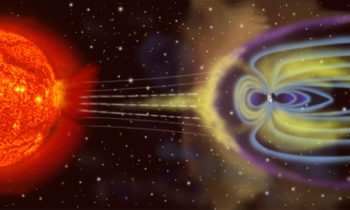 “The movements you see are solar winds buffeting our atmosphere,” Brekke says. He put a magnetized sphere inside a vacuum chamber and then used electron beam to see how the charged particles changed as they neared the Earth. Today, Birkeland (and the aurora he explained) are on the 200 Krone bill. Brekke says that the blast of electrons from the sun can mess with our technology infrastructure here on Earth: GPS navigation as well as radio and satellite communication. And the impacts are even greater beneath the Polar holes. The other impact is on directional drilling. This is where drilling, for example in petroleum exploration, is guided by the Earth’s magnetic field. So if a particularly strong Aurora outburst occurs, he says, it can make you drill in the wrong direction. Luckily, research is being done to deal with this issue. The glowing colors in the sky are just as amazing as they sound. So far on my journey through the Arctic, I’ve only caught a glimpse of them out the bus window. But even that was impressive. I’m hoping for clear skies tonight.